Warning: (25 May 2009) I’ve not updated this page in six years. My Series 1 TiVo died a few years ago; before it did, I had replaced it with MythTV. I’m pretty sure most of this doesn’t apply to Series 2 and newer TiVos, and in any case TiVo has finally provided a way to rip video from its newer boxes anyway, so you don’t need to jump through these hoops. Finally, you probably really want to burn your TV shows to DVD instead of SVCD; at the time I wrote this, DVD recording was (at best) in its infancy. With all that said, if you’re still running a Series 1 TiVo (maybe you, like me, paid for the lifetime subscription) and want to yank video off of it, keep reading. I’ve checked the links and fixed the ones that didn’t work. This is supposed to be impossible. :-) With the right hardware and software, you can grab a recording off of your TiVo personal video recorder, crunch it down, and fit it on one or two CDs that you can play back on your computer or in many DVD players. Hardware and software are now available that make this possible. It’s not particularly easy or 100% foolproof, but it works. The video bitrate needs to be reduced, probably to 1.5-2 Mbps in most instances. The audio sample rate needs to be increased to 44.1 kHz. Since most material on TV originates on film, inverse telecine is desirable to reduce the number of frames that need to be encoded. This undoes the 3:2 pulldown applied to film when it is transferred to NTSC video for broadcast, and also converts interlaced video to non-interlaced. For most programs, this will produce much better results. While we’re at it, we might as well snip out the commercials. Less material to encode will also yield better quality for what gets kept. A TiVoNET (plus an NE2000-compatible ISA Ethernet adapter) or TurboNET board. TiVoNET is an older product that attached an off-the-shelf ISA Ethernet adapter to the diagnostic connector on the TiVo motherboard. It’s what I have in my TiVo, but it’s been discontinued. TurboNET is a Fast Ethernet adapter that attaches to the same diagnostic connector. It’s self-contained, and I’ve heard that it runs about 2-3x faster at extraction than TiVoNET. A preassembled TurboNET with the network-connect kit will run about $76. You could also set up PPP through the TiVo’s DSS port, but this method will be extremely slow by comparison and isn’t recommended for extracting video. Software to rip video from the TiVo to your Windows box (detailed below). Software to edit the incoming video and burn it to one or more CD-Rs (detailed below). Here’s the software you’ll need to rip the video. I have a package of binaries to install on your TiVo and some software that you’ll run under one of the NT-derived versions of Windows…preferably Win2K, but WinXP should also work and NT 4 might work. The DOS-derived versions of Windows (Win9x and WinMe) are unsuitable for TiVo extraction due to the large files (over 2 GB) that you’re likely to create during extraction and/or editing. My TiVo binaries package. This includes TivoWeb, mfs_stream, nc, and some useful command-line tools. I created this archive after reinstalling these packages separately following the TiVo upgrade to 3.0. Since you need these files on your TiVo and not your PC, you don’t really need to download them to your PC. 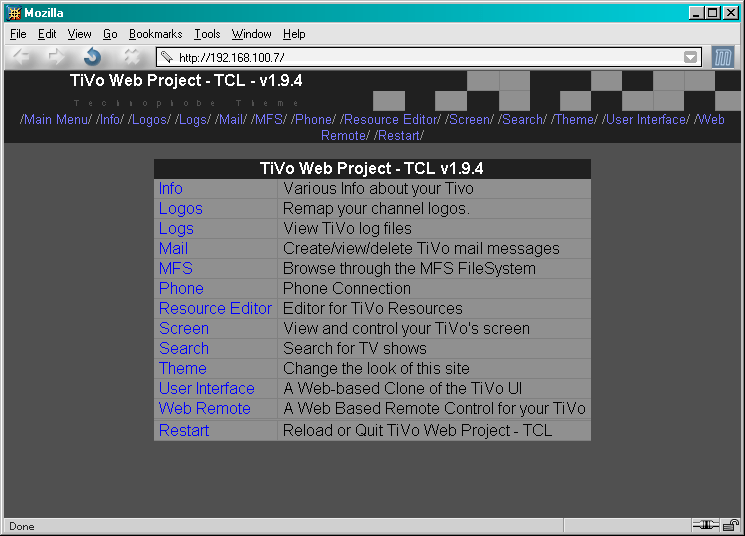 Your TiVo already has a way to grab files directly from any website; read these instructions to download and install. TyTool. This app provides extraction and stream conversion in one stop. I’ve had only fair luck extracting video with it (it usually wedges my TiVo after two or three streams), but its tyStream-to-MPEG conversion is one of the best currently available. We’ll use it to produce MPEG elementary video and audio streams from ripped tyStreams. 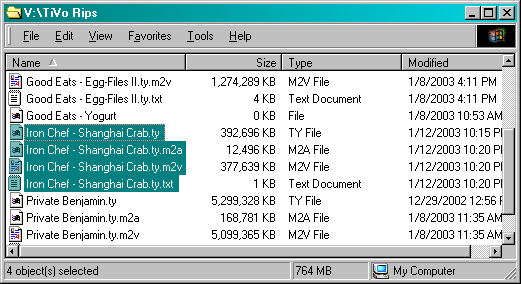 DVD2AVI 1.86, which prepares MPEG video streams for reading with the Avisynth MPEG-2 source plugin. 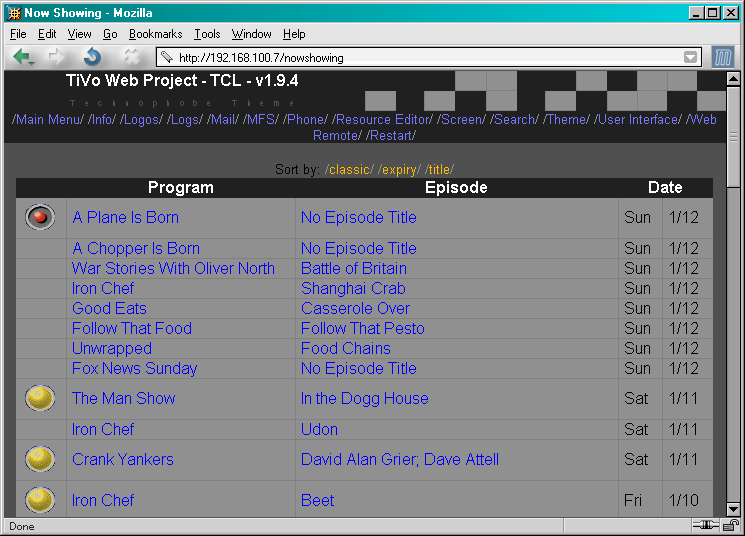 LAME 3.92 (or a newer version from the LAME website), which we use to decode the TiVo’s Layer 2 audio to WAV. Avisynth, a powerful script-based frameserver, non-linear editor, compositor…basically, the Swiss Army Knife of Win32 video editing. Make sure you also get my package of Avisynth plugins…you’ll get an MPEG-2 decoder plugin (it works in conjunction with DVD2AVI) and an inverse-telecine plugin (handy for dealing with TV shows that started on film). Unpack the plugins to an empty directory someplace and copy the DLLs into your Avisynth plugin directory (probably c:\Program Files\Avisynth2\plugins). TMPGEnc, one of the best MPEG-2 encoders for Win32. That it’s cheap is an added bonus (and you can try it out for a while first). Software that can burn BIN/CUE images. Some possibilities are FireBurner and Nero. You’ll need to experiment to see which one will work with your burner. If you’re using VCDEasy (mentioned above), CDRDAO will do this. Pick a show and click on its episode name (under the Episode heading, not the Program heading)…it might say “Not an Episode” or “No Episode Title” if it’s not a regular series with named episodes. If you scroll down a bit, you’ll see a line marked “TyStream” with a bunch of numbers after it. (I’ve highlighted them in this example.) 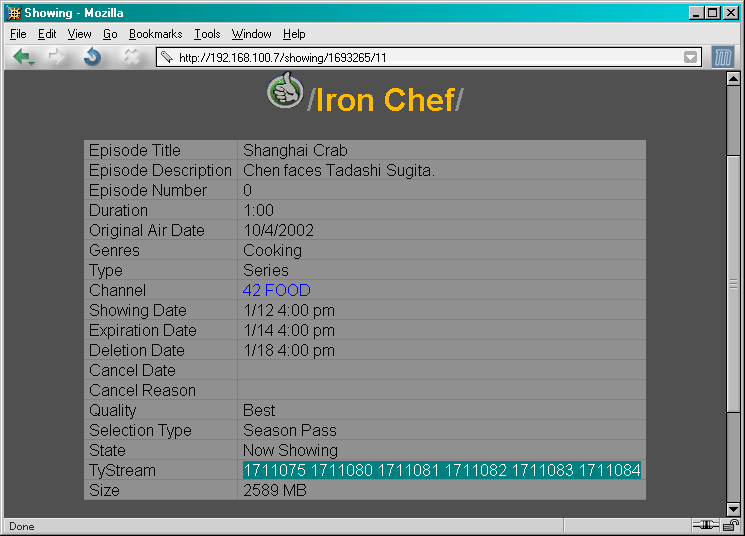 These are stream IDs that you’ll need to extract this show. This process will take a while…with best-quality streams through a TiVoNET, it’ll take about as long to send the file as it did to record it. Recording at lower quality and/or using a TurboNET (I really should get one of those :-) ) will speed things up. The completed file will be fairly large…1 hour of best-quality video will take about 2.5-2.6 GB. Since the maximum filesize on a FAT16 or FAT32 partition is 2 GB, you should make sure you extract to an NTFS partition. Once the process is complete (when the TiVo returns to its “bash-2.02#” prompt and your other command window goes back to its prompt), log out of your TiVo by pressing Control-D. That window should go back to a command prompt. You can close both windows now. Make a note of the first number (which may be positive or negative)…we’ll need it to make the audio and video sync up in the Avisynth script. 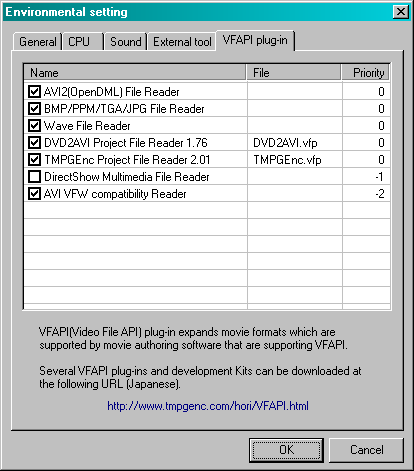 Load the .m2v file into DVD2AVI with File->Open. Select File->Save Project and save as show-name.d2v. audio-delay is the number you got from TyTool, divided by 1000 (to convert from milliseconds to seconds). Note that we’re merging the audio and video together, tweaking the audio offset, and upsampling the audio from 32 kHz (what TiVo uses) to 44.1 kHz (what SVCDs use). If you save this file and load show-name.avs into VirtualDub, you should be able to scan around through the file. You could even play show-name.avs with Windows Media Player, but it’ll probably be a bit choppy (even on a fast computer) since Avisynth isn’t optimized for playback. 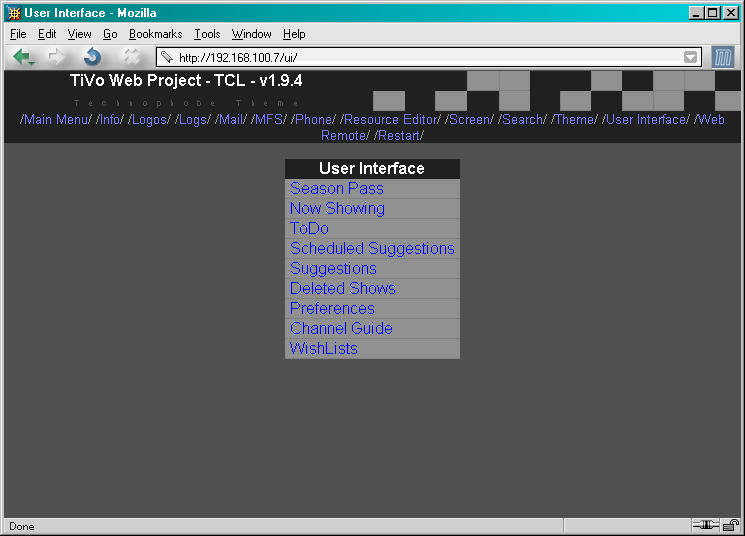 If you save the script now and load it into VirtualDub, you should see that only the video you selected is in there. Don’t try changing the numbers…they control how the filter works. If you load the script into VirtualDub now and slowly go from one frame to the next, you should see almost no interlace noise. You might see some for a frame or two occasionally; the inverse-telecine filter is an adaptive filter, so it sometimes needs to adjust how it does its job. Warning: Not all shows are telecined! If a show was shot with a video camera instead of a movie camera, it was captured at 30000/1001 fps. Anything that’s aired live (news, sports) will be shot this way. Some other genres (soap operas, cooking shows, etc.) are usually shot with video cameras to keep production costs down. If you apply the inverse telecine filter to content that wasn’t telecined, strange things will happen. Remove the filter and be content with 30000/1001 fps interlaced video. Before closing VirtualDub, get the length of the edited video. You’ll need it to figure the bitrate to use for encoding. Drag the editing slider all the way to the right. The length should be in the status bar. Use Videohelp’s bitrate calculator to determine what bitrate to use for your encoding; be sure to set SVCD as the media type and fill in the rest of the blanks with appropriate settings. Make note of the average and maximum video bitrates given; you’ll need them in TMPGEnc. Click Browse next to the video source box and select show-name.avs, your Avisynth script. The first frame should show up in the preview window. Call the output file whatever you want; TMPGEnc will more than likely suggest show-name.mpg, which will work well enough. Don’t check any of the filters. Leave the quantization matrices alone unless you know what you’re doing. Once all the options are set, click Start to begin. This will take a long time to run on even fast hardware…my dual Athlon MP 2100 takes about 3 hours (give or take 30 minutes) to encode 45 minutes of video. I have made some choices in encoding options (floating point DCT, for instance) that trade speed for increased quality. You can experiment with other settings if you want, but do at least your first encode with these options so you’ll have a reference to go by as far as what TMPGEnc can do. If you cut the program somewhere in the middle (needed for more than about 60 minutes of edited video), do the same for the remaining cuts. This will convert outfile.mpg into outfile.bin and outfile.cue. The CD will have label as its label (what shows up under the CD’s properties). volume-count should be the number of CDs you will make for this program, while volume-number is the sequence number for this particular CD. Creating the image takes a couple of minutes or so. Once you have the image files, load them into your burning software (FireBurner, Nero, or whatever) and burn to a blank CD-R. You’ll need to use one of the disc-at-once (DAO) modes; track-at-once (TAO) won’t work. Packet-writing software (such as DirectCD or InCD) definitely won’t work. That’s all there is to it! I’ve been doing this for a little over a year now, and this is the method that I’ve found currently works best for me. 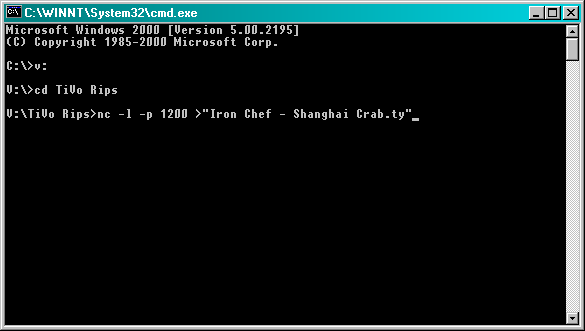 Compared to the method I previously published, this one uses much less disk space and runs quite a bit faster. Some people might find the increased reliance on command-line tools and scripts a bit intimidating at first, but they’re really not that big a deal. I think the improved quality and increased performance and flexibility are worth it.